QuadraNet, a provider of high-quality dedicated servers, colocation and cloud services, is pleased to announce the successful completion of its SOC 2® - System and Organization Controls (SOC) for Service Organizations attestation for its Los Angeles, California data centers. QuadraNet's datacenter facilities are SOC 2® certified. QuadraNet, Inc. (“QuadraNet”), which provides high-quality dedicated servers, colocation and cloud services, is pleased to announce the successful completion of its SOC 2® - System and Organization Controls (SOC) for Service Organizations attestation for its Los Angeles, California data centers. The SOC 2® examined QuadraNet’s system description and the trust services criteria for the security principle and related control activities. 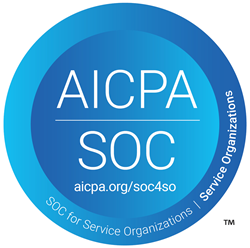 The SOC 2® engagement was conducted by an independent Certified Public Accounting firm under the American Institute of Certified Public Accountants’ criteria for the security principle set forth in TSP section 100, Trust Services Principles and Criteria. The completion of this signifies QuadraNet’s ongoing commitment to the security of their system and maintaining internal controls. The successful completion of this voluntary attestation demonstrates QuadraNet’s continuous dedication to creating and maintaining the most stringent and effective operating controls for the protection and security of its customers’ hardware and data stored in QuadraNet’s facilities. The SOC 2® report enables QuadraNet to provide their clients with assurance that their services meet industry standards with regards to security.